If camping in the savannah with the sounds of a lion’s roar or thump of an elephant’s feet to keep you company seems like the vacation for you, you’re going to love Botswana! It is no secret that people are flocking to this part of the world, so find out why with our complete rundown of Botswana tourism. Botswana is a country located in southern Africa. It is landlocked and borders South Africa, Namibia, Zimbabwe, and Zambia (though the last border is barely more than 100 metres). Geographically, the majority of the country rests in the Kalahari Desert – which despite the name isn’t quite as barren as you might think. How do I travel around Botswana? 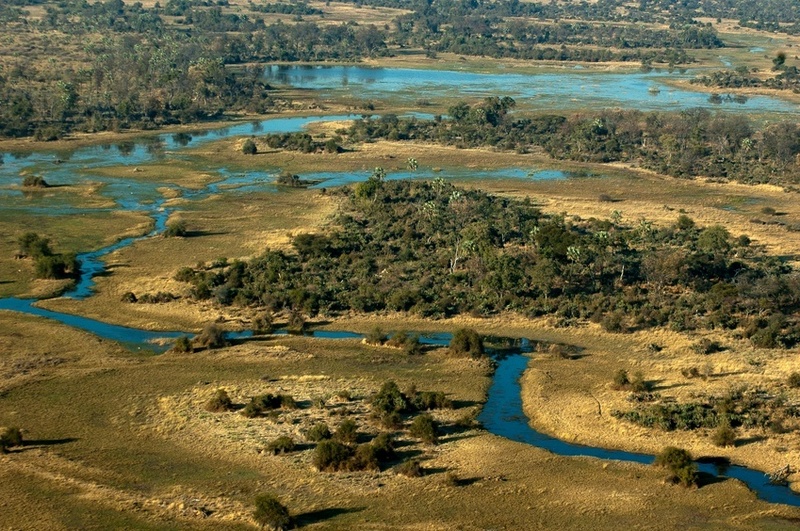 Botswana is a fairly large and sparsely populated country, with large tracts of wilderness dominating the land. As such, it can take a little extra effort to get around. While there are domestic flights and buses between some cities and towns, the easiest (and most affordable) option is to hire your own wheels. 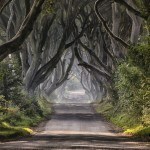 This will afford you the opportunity to see as much of the country as possible, while really going on your own safari. English is the official language of Botswana, but you will likely hear quite a lot of Setswana as well. In cities and busy tourist spots English will help you get by fine, although you may struggle in some more remote or rural areas. Located in the vast Kalahari Desert (perhaps southern Africa’s most intriguing ecosystem) is Botswana’s largest national park. Covering over 50,000 square kilometres, the game reserve is home to exactly what you’d expect…thousands of Africa’s most interesting and impressive animals. Lions, hyenas, giraffes, warthogs; you name it. If you’ve ever wanted to go on an authentic Botswana safari, the grasslands and sand dunes of the Kalahari are where you need to be. You must have a permit to visit, and have to adhere to a strict set of rules, so be sure to prepare ahead of time. While Central Kalahari might give you the solitude of a desert experience, Chobe National Park is even more diverse when it comes to wildlife. Located in the north of the country, the park is divided into four distinct ecosystems to explore. There’s the riverfront, which is the most plentiful when it comes to animal life and also the easiest to reach from the nearby hub of Kasane. The Linyanti Marsh is home to a wide array of predators as well as a huge concentration of elephants. The Savuti region of the park is a mix of grass and marshland populated by a healthy amount of wildlife, while still remaining more ‘remote’ than the others. Finally, the hinterlands are the least visited part of Chobe National Park, but still worth a trip if you want to get away from it all. A massive inland delta that is amongst the most spectacular natural sights in Africa, the waters of Okavango Delta play host to a staggering amount of creatures. The Moremi Game Reserve is one of the highlights of the region, and a must see for the sheer amount of wildlife (which could really be said for much of the country come to think of it). You’ll want to visit the nearby town of Maun to start your journey. Be warned however, some of the safaris won’t be cheap. That being said, cost-conscious travellers can likely save with more rustic escapes or self-driving excursions – which might be the more rewarding option when it comes down to it anyways! For those visiting Botswana’s southern neighbour, the dual-country Kgalagadi is the perfect opportunity to bridge the gap. It’s an amalgamation of Mabuasehube-Gemsbok National Park in Botswana and Kalahari Gemsbok National Park in South Africa. This is the most ‘desert’ area in the region, thanks to famous shifting sand dunes that are unique to the park within Botswana. Temperatures can range from very hot during the day to pretty darn cold at night, so bring ample clothing and supplies. Still, if you can book a campsite you’ll be treated to one of the most wild and unique natural locations in Botswana – and that’s saying something. As one of the largest salt flats in the entire world, you may expect a vast empty region – and well, you’d be right. But it’s that sheer vast emptiness that makes Makgadikgadi so extraordinary. The majority of the landscape is largely salt desert, though you can find marshes and grasslands along the borders. 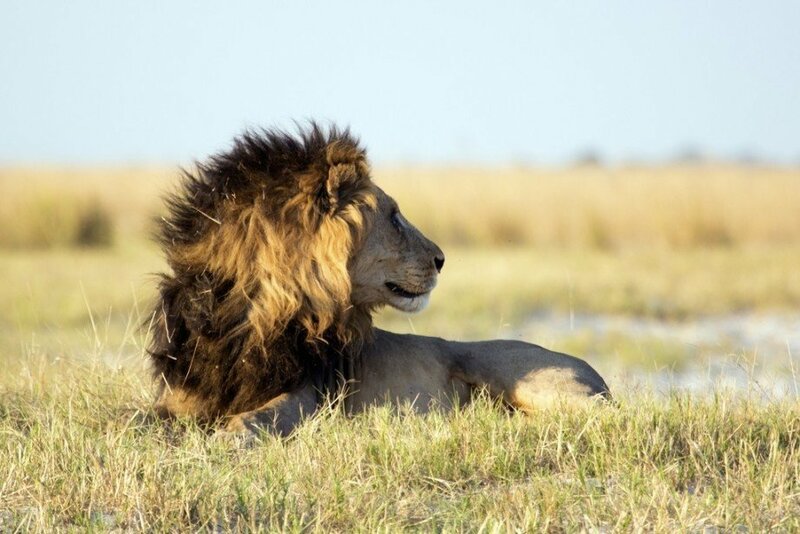 The Makgadikgadi Game Reserve and Nxai Pans National Park are protected regions that are worth seeing. It may not be as full of life as some of the nearby parks, but there is no denying it is a one of a kind landscape. Finally we come to something a little different. Botswana’s capital and largest city is certainly not as big a part of the increasingly popular Botswana tourism industry, but it still has its own charms. 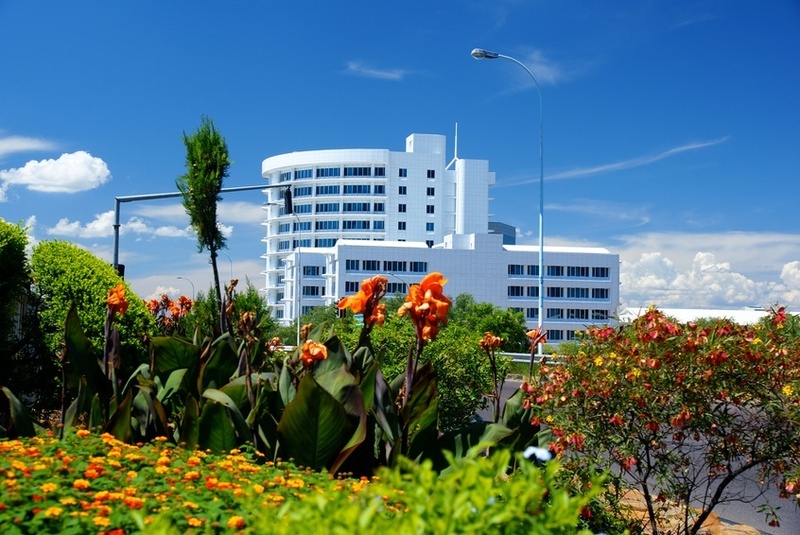 Gaborone is very modern, mostly a site for business (such as diamonds) and governance. Still, if you’re travelling through Gaborone on your way to the savannah, it’s worth stopping to get a sense of the new face of Botswana. While you shouldn’t expect much to see or do, it serves as a nice counterpoint to the sometimes-overwhelming solitude and vastness of the country’s wilderness. Depending on where you fly into in Botswana, a round trip from Pearson is likely to start at slightly over $2000 Canadian dollars. You might not always want to fly into Gaborone if your chosen destination(s) is closer to another city or town, such as Maun. As more business moves to Botswana, you can expect the amount of flights to grow and, in turn, the prices to drop. The Botswana tourism industry is booming and this could mean you will be able to find special packages that include flights. It’s hard to say exactly how much a trip to Botswana will cost. The main reason to visit is for a safari, and these vary wildly in price. Since the government seeks to protect the ecosystem, some excursions are very highly priced in order to keep the amount of visitors low and inhibit thousands of tourists from harming the land. Taking a Botswana safari may be more expensive than other options, but it is also likely more ethical. That being said, you can also find many more rustic excursions and DIY safaris if you look. Just expect the tourism policy of ‘high quality, low impact’ to impact your wallet to a degree. We can roughly put the average cost of a day in Botswana at $79, just be warned that this might not always be the case. With this country more than most, you want to plan ahead and know exactly who you’re booking with and how much it’s likely to cost. Botswana is one of, it not the safest countries on the African continent. There is no nationwide advisory according to the Canadian government and normal security precautions are recommended throughout. That being said, you should be on the lookout for petty crime. Most of the danger comes from risks associated with safaris to remote areas and the wildlife. You want to make sure you have ample provisions, backup plans, emergency information, etc. before venturing out into the wilderness. If you hire an off-road vehicle, your personal well-being is your concern. You’ll want to be sure you can service a car if need be. While there are bases and guides available to help, you can’t always count on being near one. As should already be obvious, many of the animals that live in Botswana can be dangerous. Do not antagonize them and be sure to stay in recommended areas, Botswana is home to some of the most beautiful and unique landscapes and wildlife in the world. The government has gone to great lengths to make sure it stays that way – so follow all guidelines associated with the parks and preservation areas. For more on travel safety, check out the Canadian Travel Advisory for Botswana. Ever been to Botswana? We’d love to hear from you! You can also learn more about the country’s amazing history and culture in our Country Profile.